“LUNARtic”- Anti-Gravity Ale with Comet and Galaxy hops and Mosaic lupulin dust. 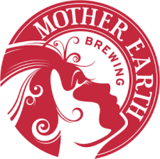 Inspired by the upcoming solar eclipse which will cut a swath right through the middle of Idaho, like-minded breweries Mother Earth Brew Co. and Payette Brewing Co. collaborated to create a beer that will bend space and time while you join the masses in observing and celebrating this monumental celestial event. At just 4.8% ABV, this Session Pale Ale is sure to quench your thirst, while still allowing you to properly focus through your SAFE Solar Viewing Glasses!